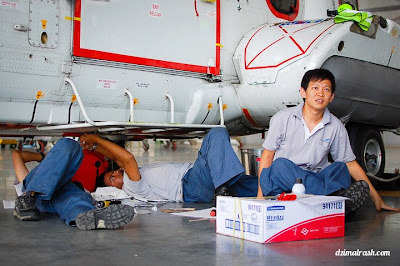 Awan Inspirasi helicopter hangar is located approximately 500m away from Miri international airport. Their main operation is to provide transportation of passengers and workers to support offshore oil and gas exploration and development rigs. Presently, their main destinations covers offshore installations and rigs of Sabah and Sarawak waters for PETRONAS, Shell as well as other oil and gas majors. 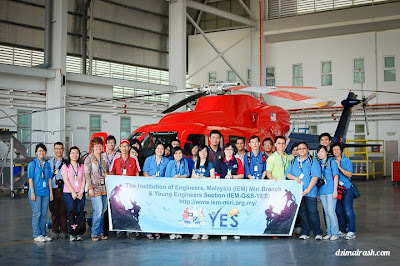 Young Engineer Section (YES) of Miri had organized a field visit to their helicopter hangar on the 2nd November 2012. 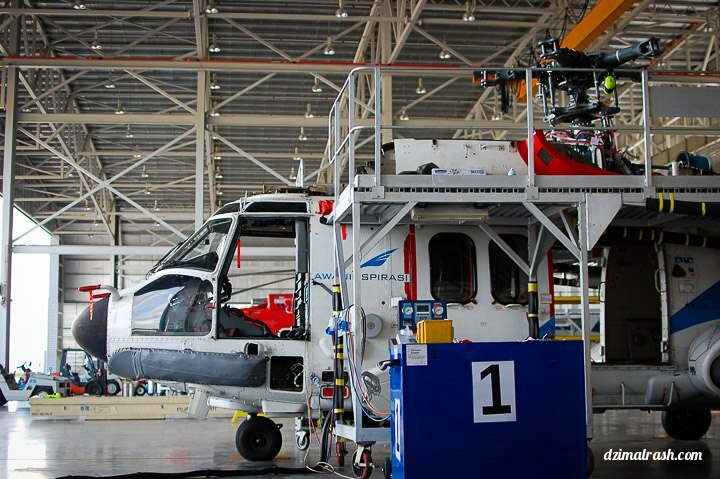 The main objective of the visit is to understand how helicopter operation and maintenance works, and also learn the management of the aviation industry. There are 23 participants in total, consist of IEM, YES and engineers from all industries. All participants were awarded with 3 CPD hours upon completion of the field visit. We assembled at the general aviation parking lot at 1350hours. 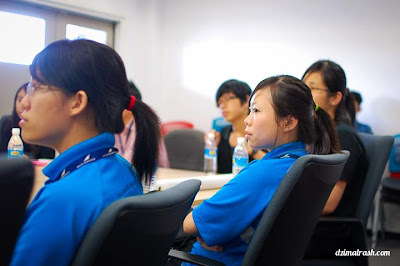 After registration at the security guardhouse, participants were guided to the briefing room at Awan Inspirasi hanger. There, we were greeted by the Shirley Arrifin (picture forth from left). She and her fellow colleagues briefed us on the history, current operations and company goals. All participants were given a tour around the facility which covers the simulation room, operation room, and the control room. 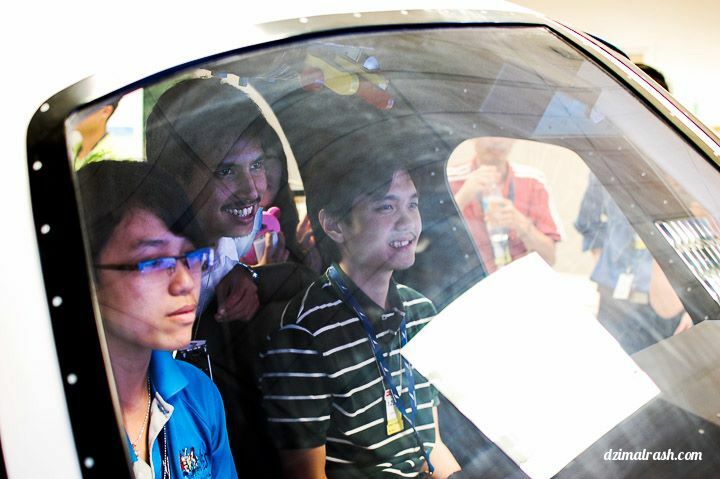 Some of the participants had the opportunity to take a spin with the simulator to feel the 5-minute joy of being a helicopter pilot. Participants also had a close glimpse on the helicopters EC225 and S76 parked in the hanger and also the maintenance work that are ongoing at that moment. After some Q&A session, the visit concluded with a group photo and exchange of souvenir with Shirley Arrifin and Capt. Thanom (picture ninth from right) who had been our tour guide throughout the whole afternoon.